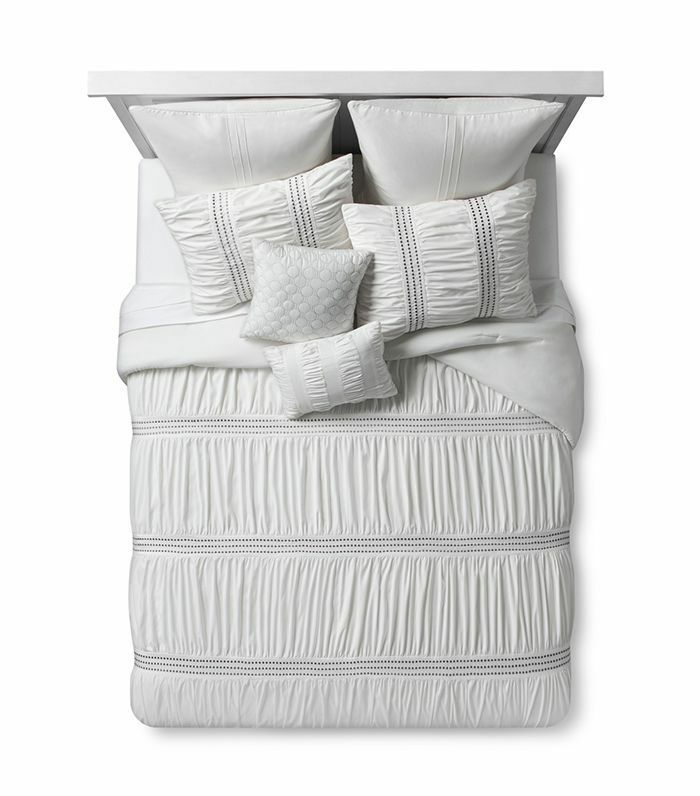 We’d be lying if we said Target hasn’t been completely killing it when it comes to home décor: This year alone it’s launched a global goods line with Accompany, baby gear with Nate Berkus, and its new Project 62 collection filled with chic (yet affordable) furniture pieces that trendsetters are going crazy over. 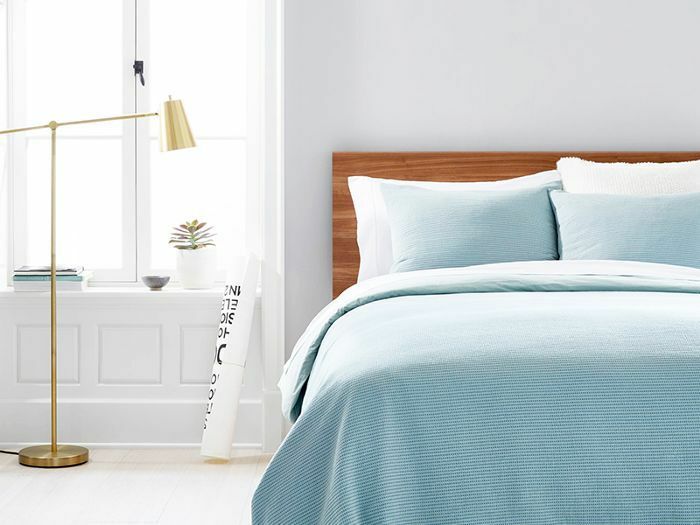 But this retailer doesn’t need a new capsule or collaboration to be on our radar—it’s one of our go-to spots when we want a design change without breaking the bank—which is why we want to introduce you to some of the best Target bedding out there right now. 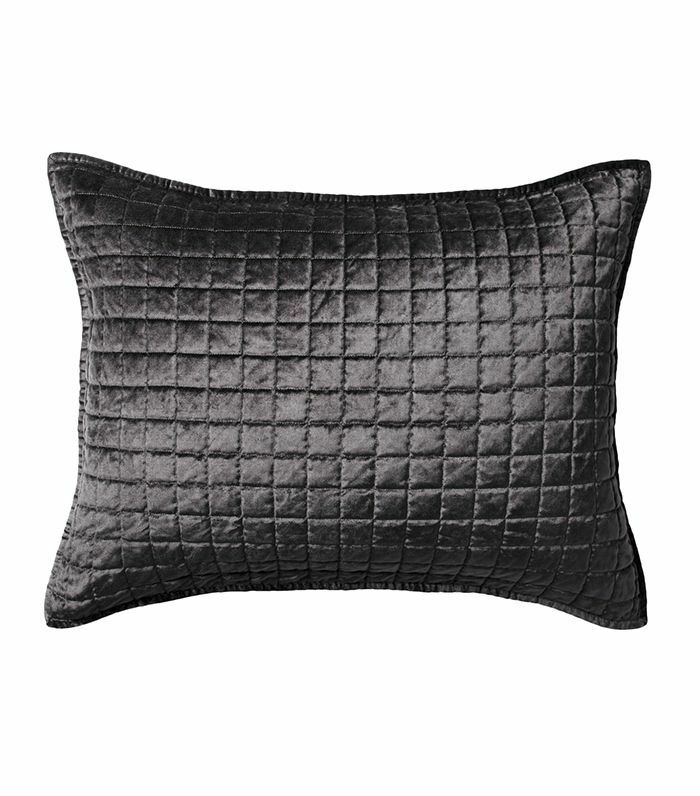 As you probably have noticed, duvet covers, comforters, and throw pillows can be exceedingly expensive, but the retailer proves that you can still get them at reasonable price points without sacrificing high style and quality (yippee). 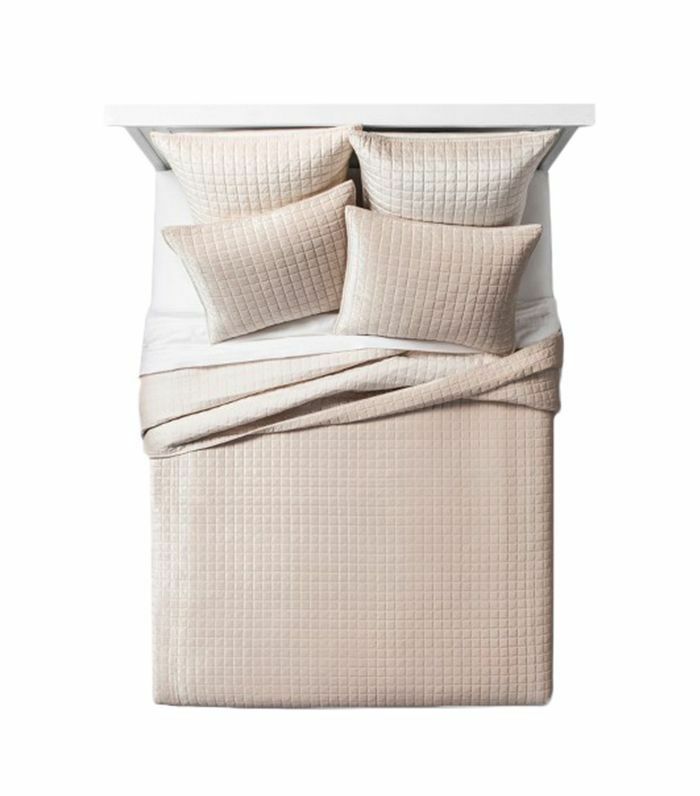 It’s time to click through and see the best Target bedding available right now—from cool textures to cozy colors, we promise you won’t be disappointed. Happy redecorating. Go (subtly) wild with an exotic print duvet and matching shams. 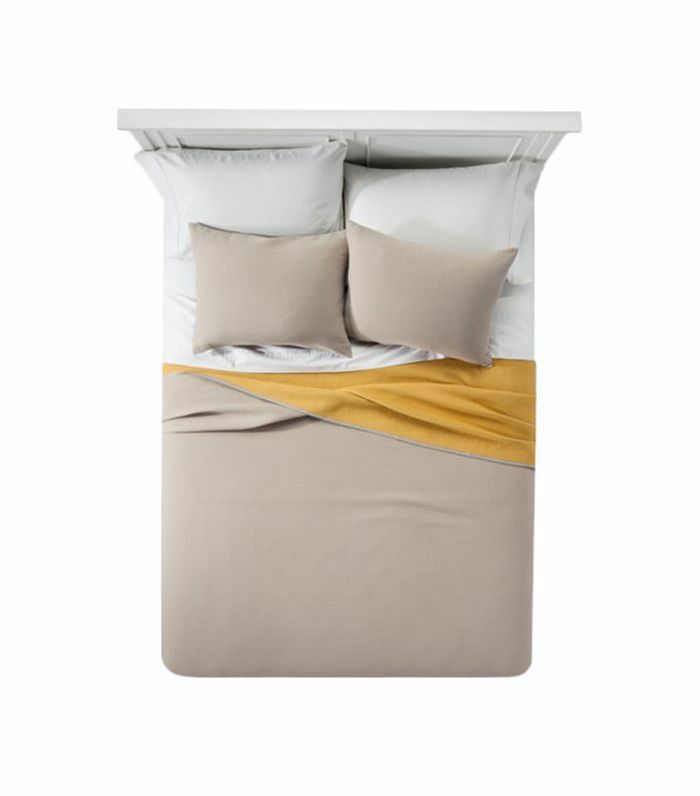 This super-soft coverlet reverses from beige to rich mustard—make a fold to show off a pop of color. 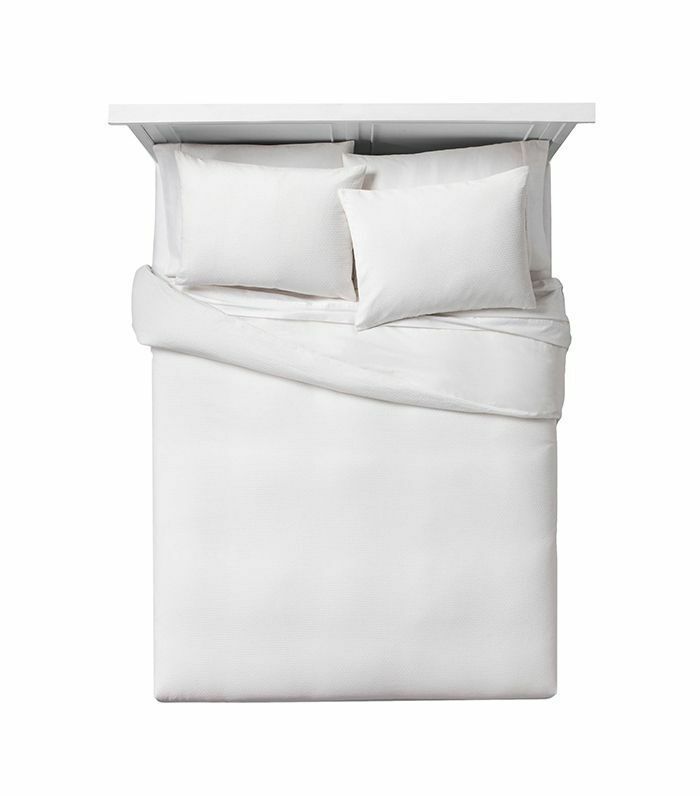 You don’t have to be afraid of this crisp white duvet—it’s machine washable so you can keep it in mint condition. 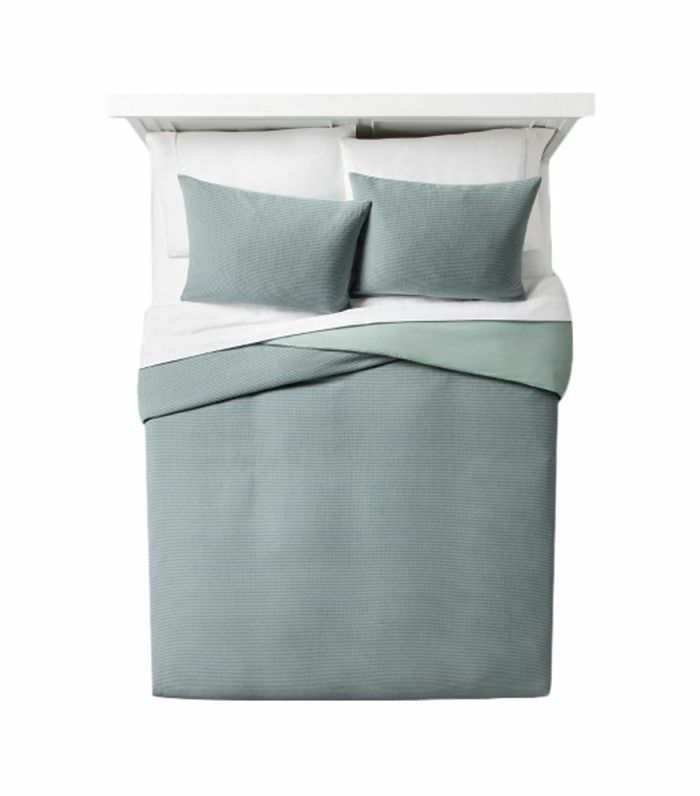 The muted jacquard weave on this green duvet cover is pretty from afar—and up close. 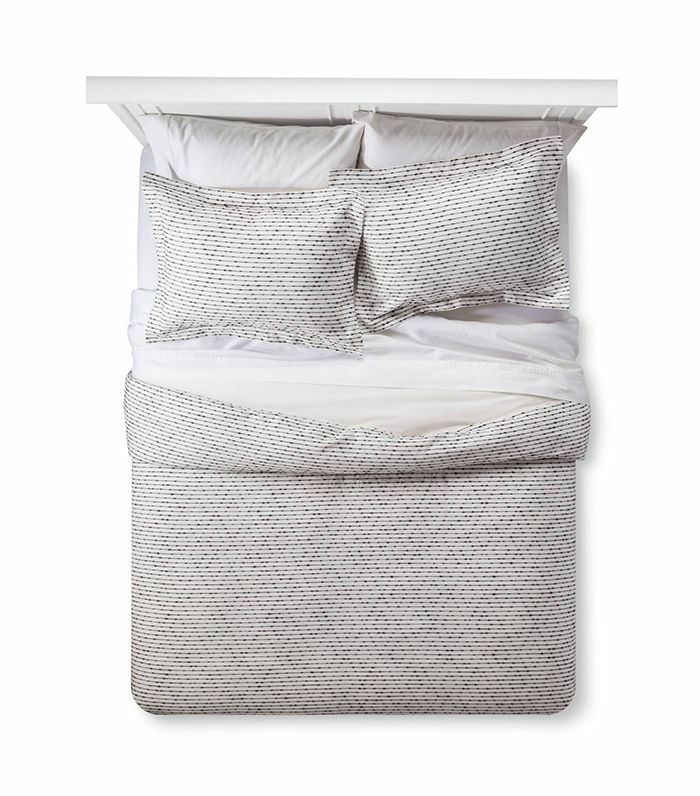 A cream eyelash print sham is a team player—its texture makes neutrals special, and it melds well with other prints. If you need a little design inspo, try a neutral style with a hint of pearly sheen (so subtly chic). Layers of ruching and embroidery remind us of our favorite white sundress (it even comes with a bed skirt for an extra-luxurious touch). 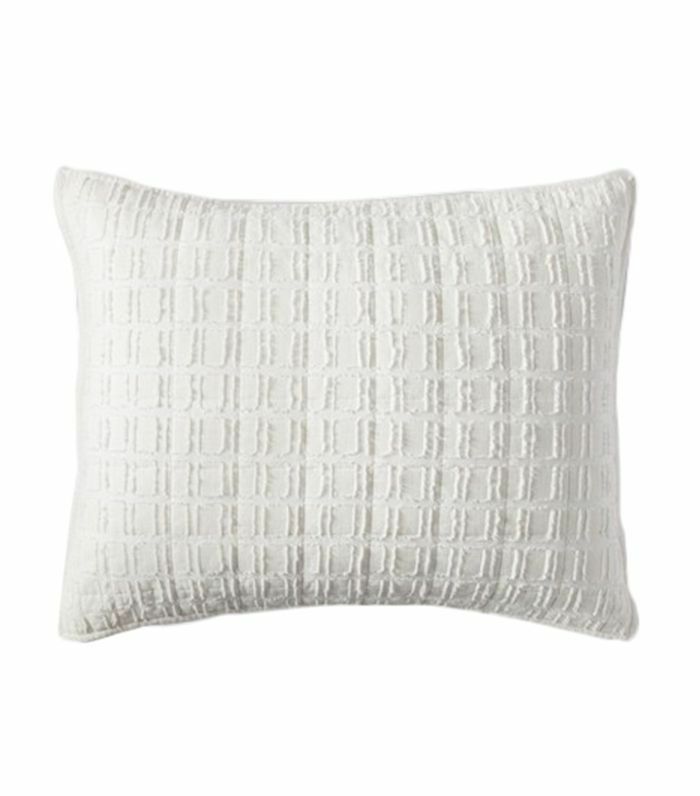 This velvet pillow sham with grid stitches will fancy up even the most basic of bedding. 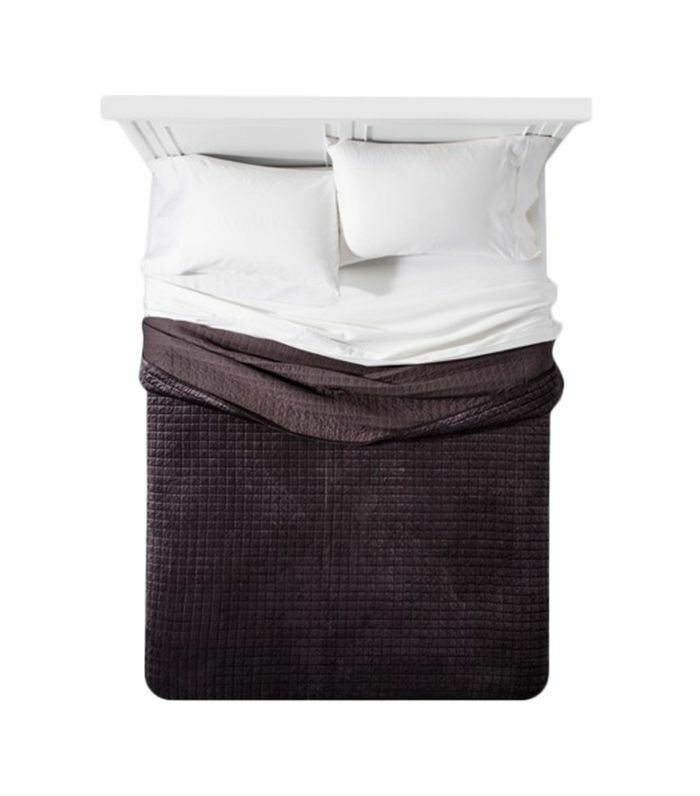 This quilt is reversible so you can flip it to a luxe velvet or matte, depending on your mood. 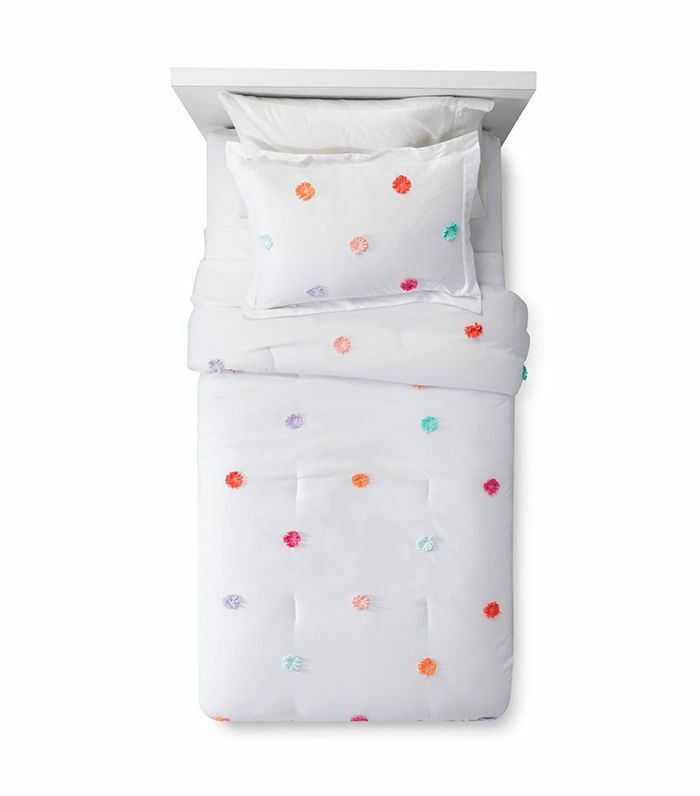 Tiny ones will sleep soundly in this white comforter set with pom-poms in Crayola hues. Up next, where It girls shop for home goods.